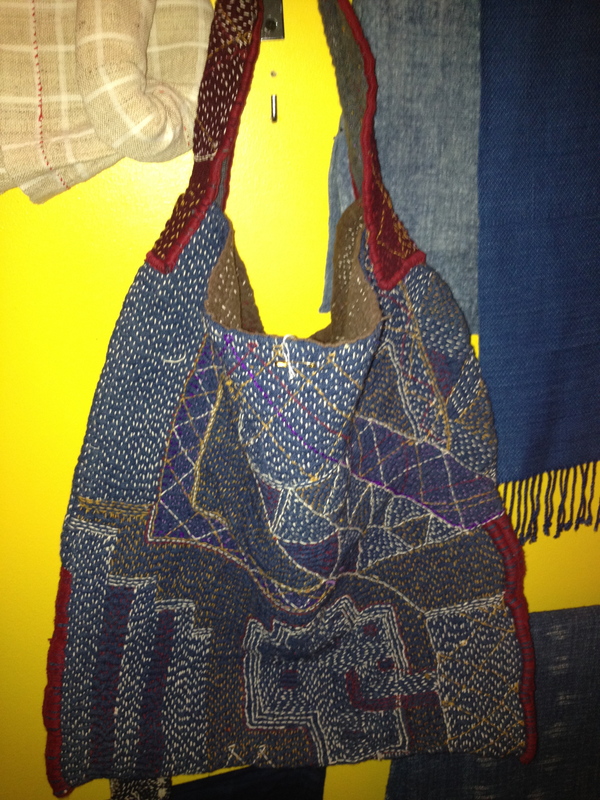 As I strolled thru the Folk Art Festival, I was reminded that many of the techniques and stylings we see in clothes today were originally started and hand crafted in indigenous countries all around the world before we ever saw them on the shelves of Anthropologie or Urban Outfitters. From handmade embroidery in Peru to hand beading in Kenya, many of the trends we see manufactured today have been inspired by these native traditions. 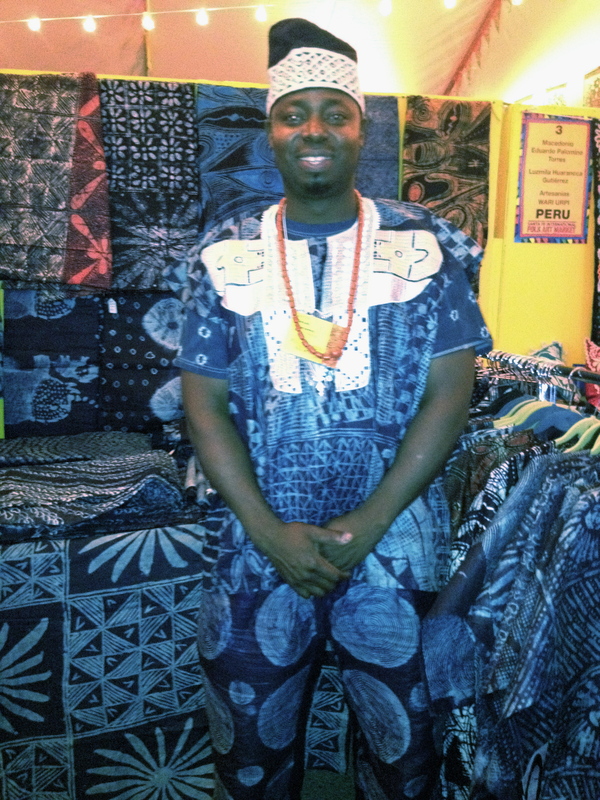 I went to this festival so that I could see the “real deal” firsthand and get a fresh perspective on the ethnic trend that has been so dominant in the market these past several years. My outfit above for opening night of the festival is a good example of how designers and retailers have taken inspiration from these native techniques and used them in today’s fashions. 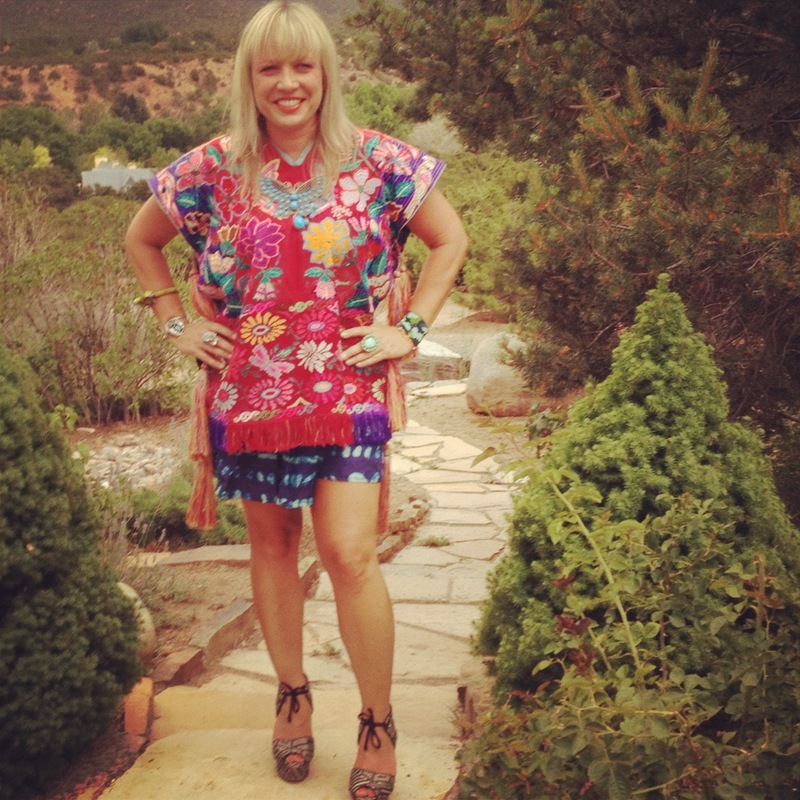 The embroidered tunic I’m wearing is actually “the real deal” made in Chiapas, Mexico while the shorts are from Zara and printed to resemble indigo dyes. 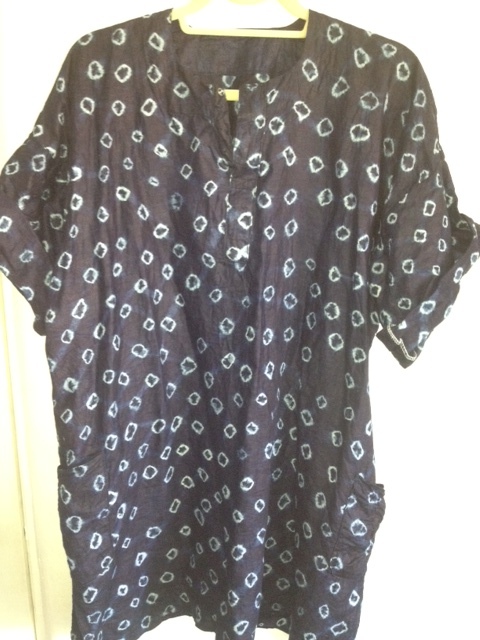 The batik shoes are by Loeffler Randall and you can buy them here. 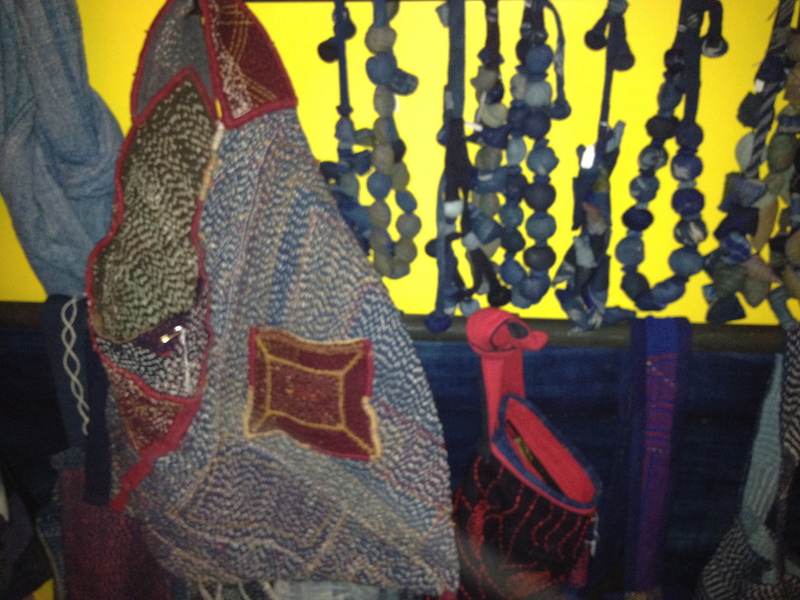 My jewelry is from all over including artists in Rwanda, Santa Fe, Austin and Guatemala. I was very intrigued to find a few big trends in indigo and denim at the festival that I have been keeping my eyes on in the fashion market. 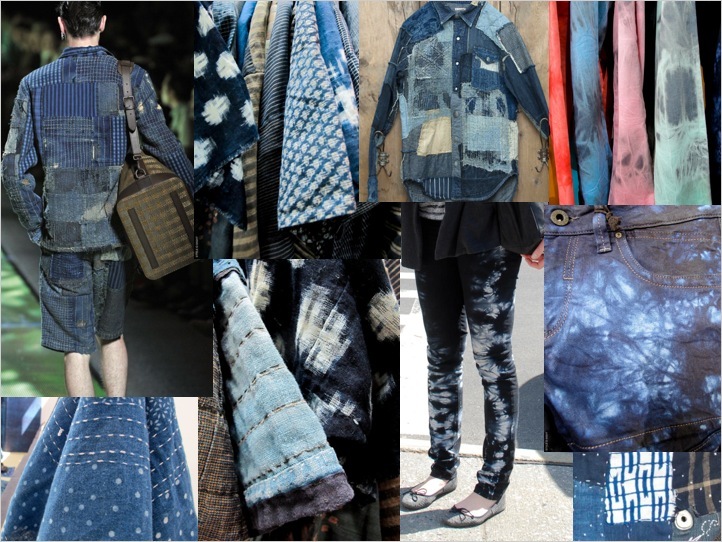 Indigo dying has become really big in the past year with denim companies looking for new ways to update through color and printed techniques. 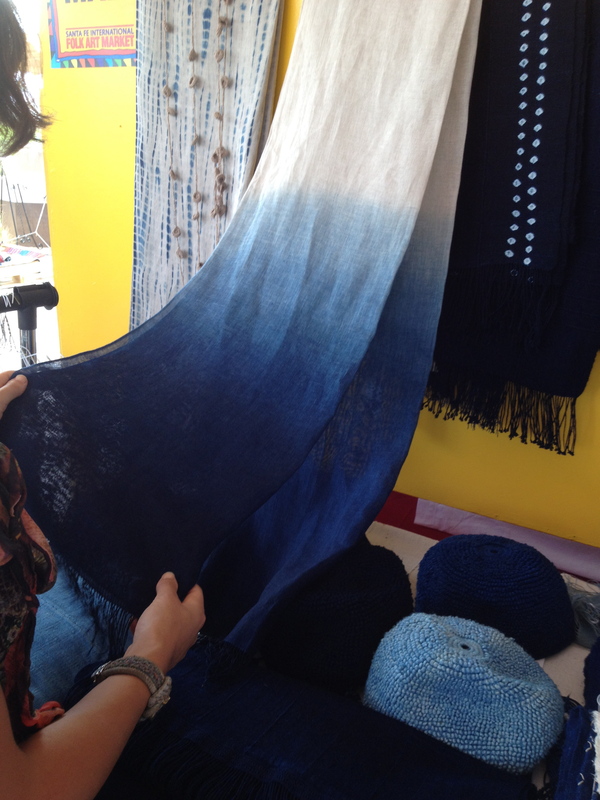 I met a few artists from Mali and Nigeria that were doing indigo dyes on scarves and fabric and I was blown away at how beautiful this process is when it is done by hand. The work above is from an artist in Mali. I was swooning at every piece he made. 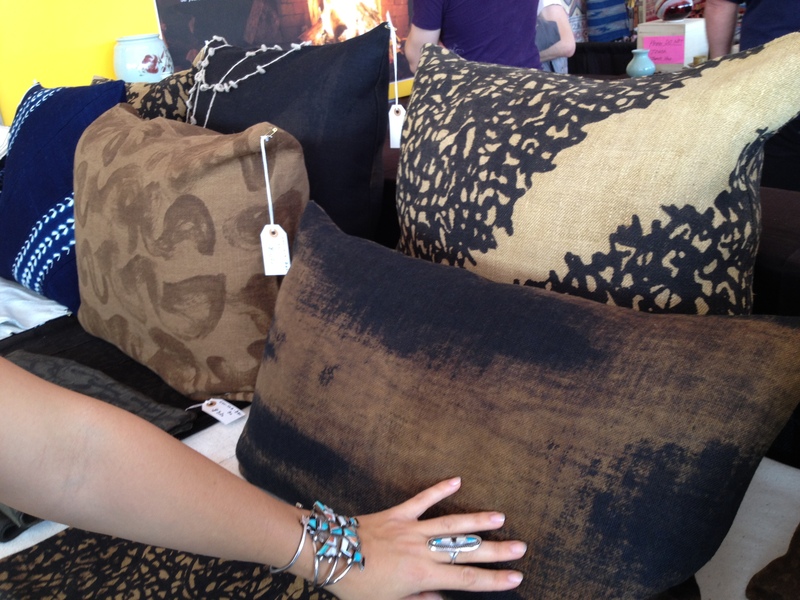 The scarves were amazing dip-dyed and saturated indigo and I wanted those pillows so bad! Unfortunately for me, the cost was pretty high as this technique is very involved and takes a lot of time. 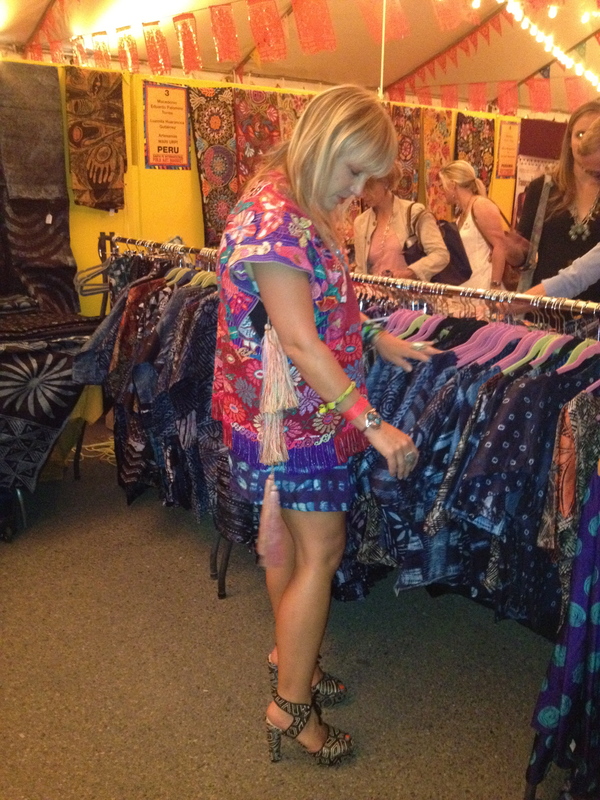 The skirt above was from an artist in China and I almost bought it but ended up buying a pair of earrings from Peru instead. 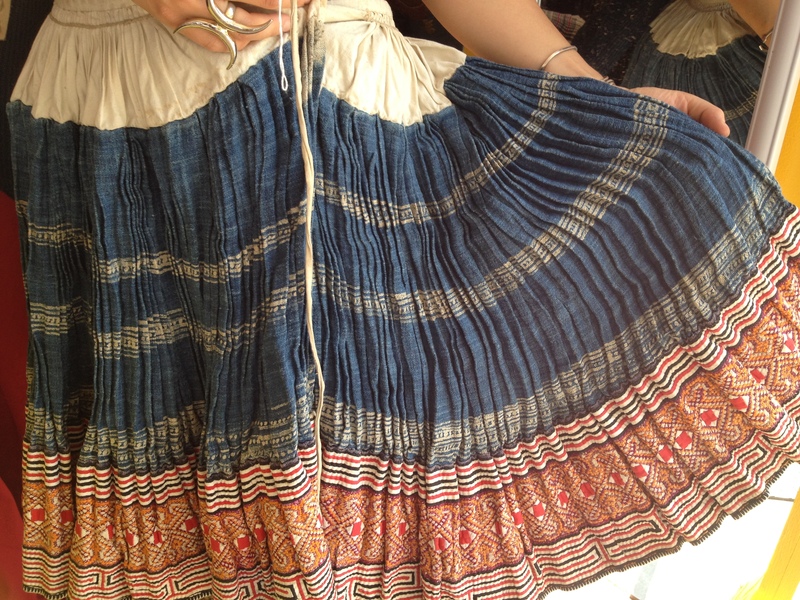 I love the combination of embroidery and denim in the skirt and the whole feel of it is very reminiscent of the style we see coming from Isabel Marant that has become so popular. 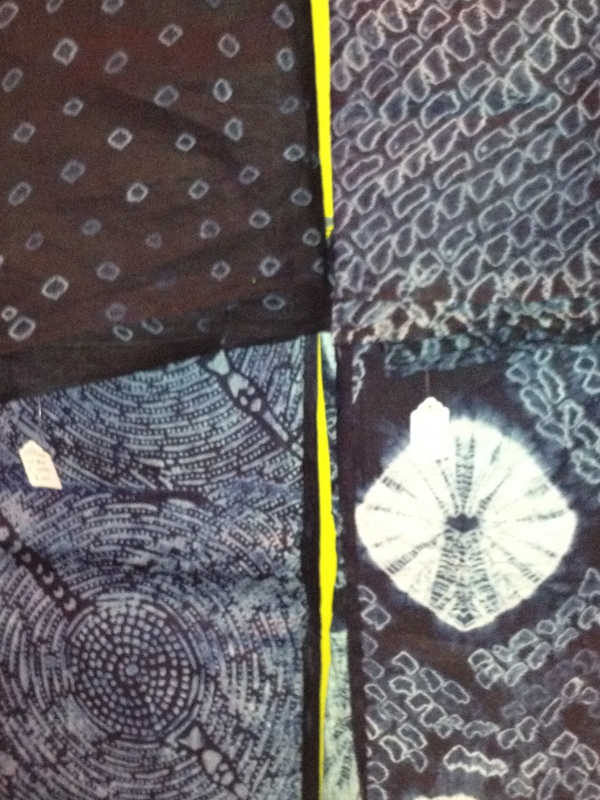 Can you see the difference between my mass produced indigo dyed shorts and the real deal? The above booth belonged to the Master Artist Gasali Adeyemo from Nigeria. He was really great and I loved all of his work. You can check out more from him here. I love the dress I bought from him below. Another big trend that I have been watching for awhile coming down the pike is the patchwork technique that most people connect to from the 1960′s. 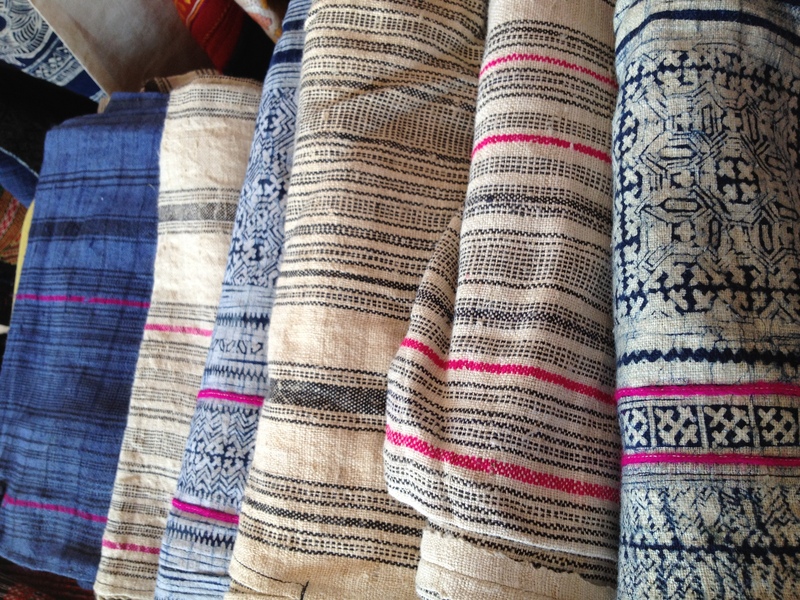 However, that trend also comes from an old world technique that I saw from an amazing artist from Thailand. I was so blown away by her work and the pieces she made from thousands of scraps of denim donated to her in her community. 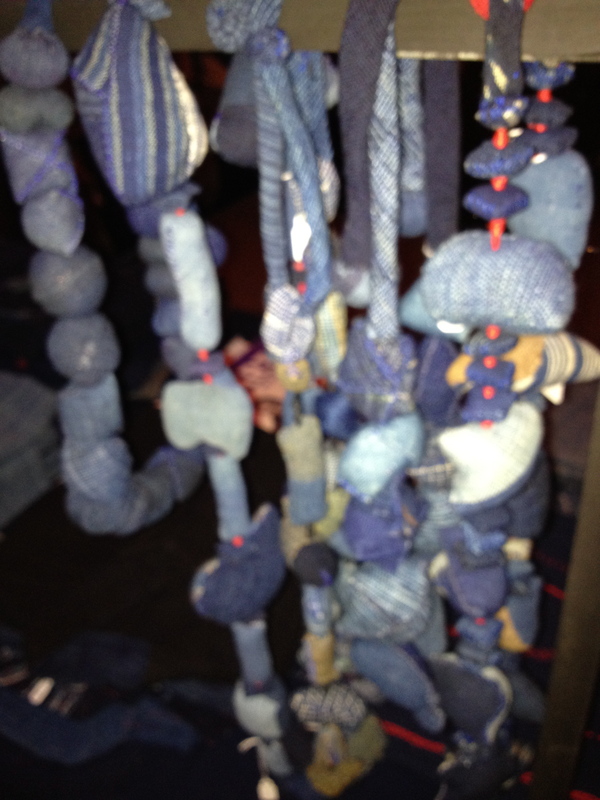 Loved these denim necklaces made from scraps. So cool! I wanted this handbag so bad!!! I was really losing it over the artist’s work above. 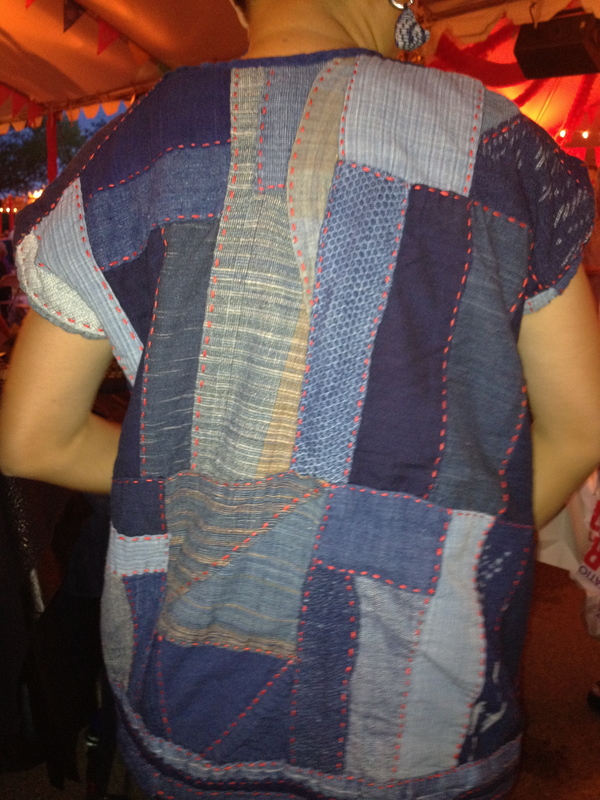 The stitching and patchwork combined was so amazing and feels so right for the denim market. 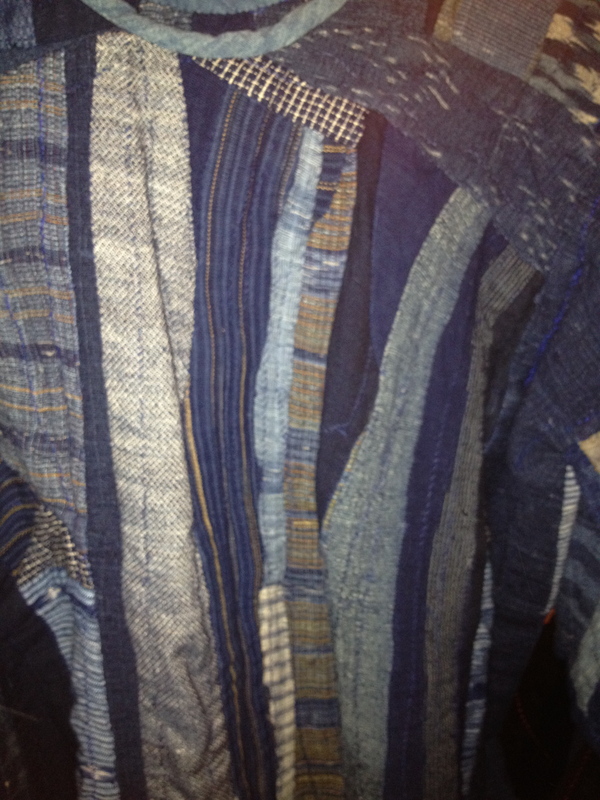 I know many denim designers would have loved to have bought some of these pieces for inspiration. 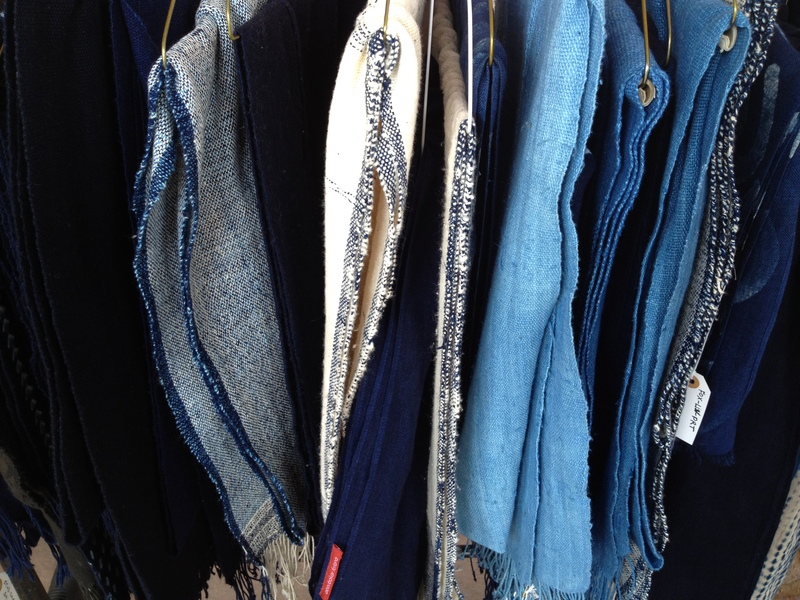 Take a look at my inspiration board below that shows the newest trends in the denim market. Can you see where they got their inspiration? 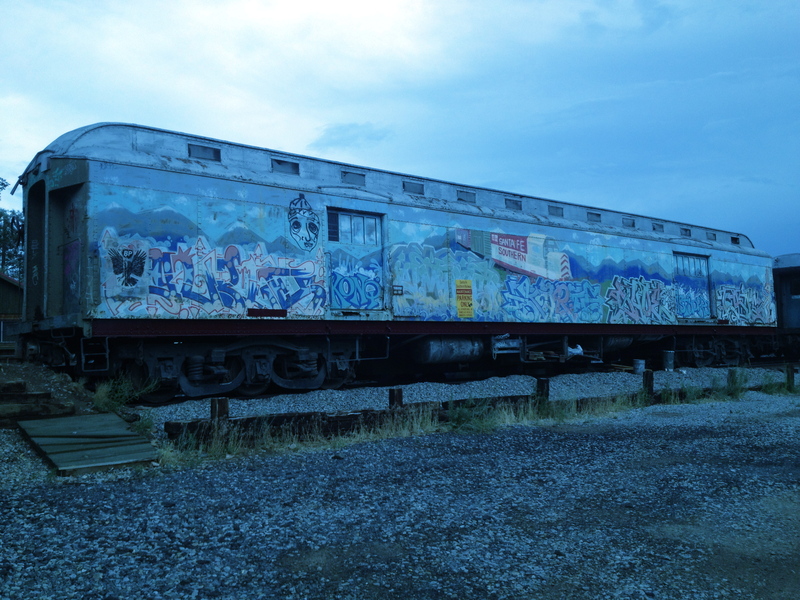 Stay tuned….I still have a lot more to share from the Folk Art Festival! Hi! 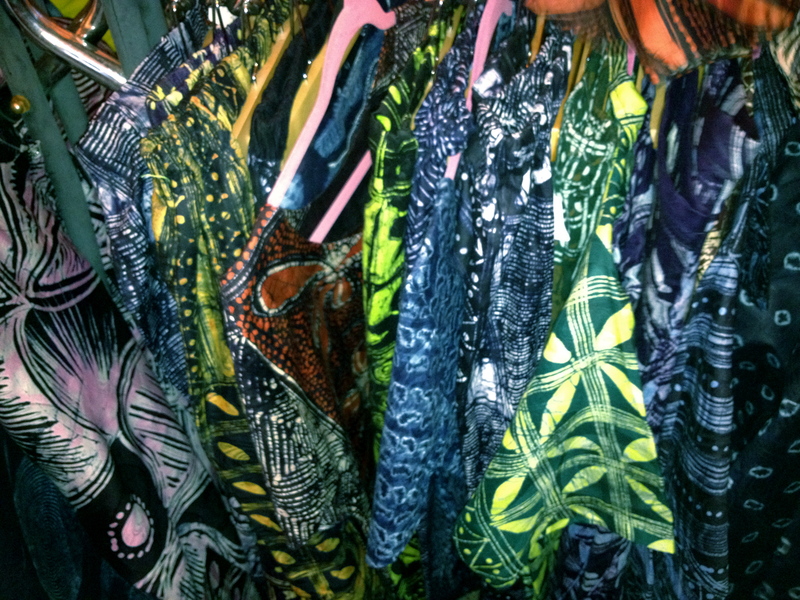 Glad to see so much Indigo creations! Beautiful pieces. 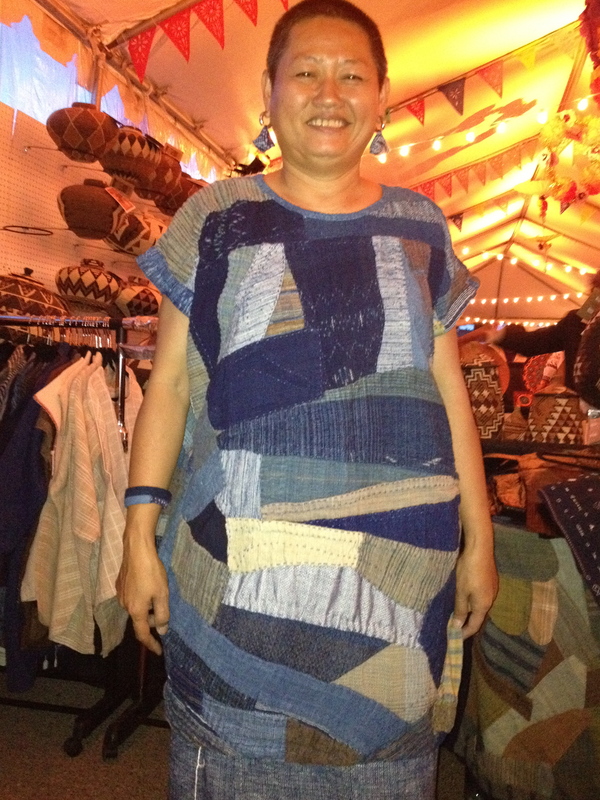 The patchworked denim dress looks great! Came here looking for Gasali’s creations! Do have a look at my blog sometime! I would like to express my thakns to the writer for bailing me out of such a predicament. As a result of surfing through the internet and coming across tricks which were not beneficial, I believed my entire life was done. Existing without the answers to the problems you have fixed by way of your entire guide is a crucial case, and the kind that could have negatively damaged my entire career if I hadn’t come across your blog post. The natural talent and kindness in taking care of all the details was priceless. I don’t know what I would’ve done if I had not discovered such a subject like this. I can at this point look ahead to my future. Thank you so much for this expert and sensible help. I won’t be reluctant to endorse your site to anybody who needs and wants guide on this topic.